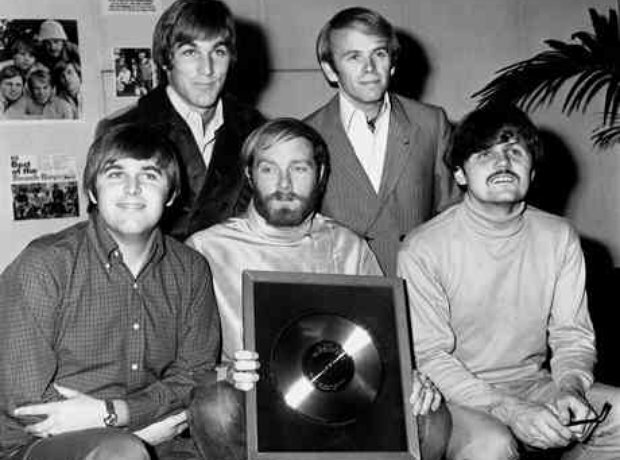 American pop group The Beach Boys receive a silver disc for selling over a quarter of a million long playing records of 'Best of the Beach Boys, Vol. 1'. (l-r) Back Row Dennis Wilson and Al Jardine. Front Row Carl Wilson, Mike Love and Bruce Johnston.